This huge redear (they feed on quagga mussels) tipped the scales at 5.55 pounds and was 16.75 inches long with a 19-inch girth. It was caught by Robert Lawler of Lake Havasu City on May 2 using a Texas-rigged 7-inch Power Worm. This huge fish may also be a contender for a world record as well. 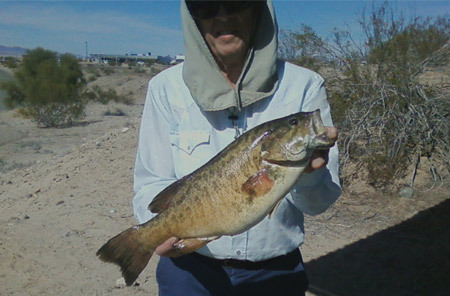 The existing state record redear was caught Feb. 16, 2010 at Lake Havasu by a California angler and it weighed 4 pounds 2.24 ounces and was 15.5 inches long. 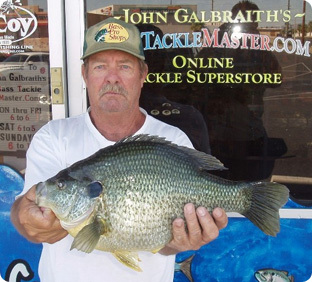 The huge redear has now been confirmed as a new Arizona State Record for along the Colorado River.